A spectacular early-blooming, double-flowered mixture in a dazzling array of colours. 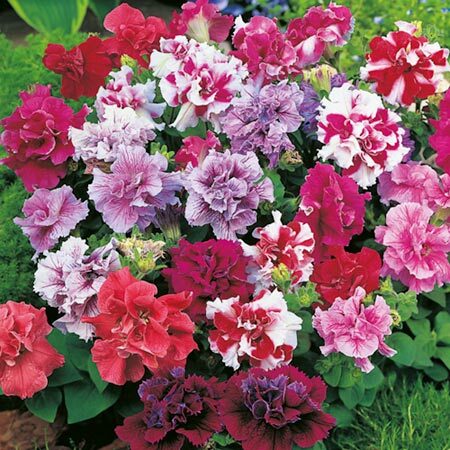 The medium-sized flowers show good resistance to bad weather. A real winner for baskets and containers. Height 25cm (10"). HHA - Half-hardy annual. Grandiflora F1 double flowered variety. Sow February-April to flower June-September. Suggested planting distance 30cm (12"). Ideal for beds and borders, patio pots and containers, hanging baskets. Prefers full sun. 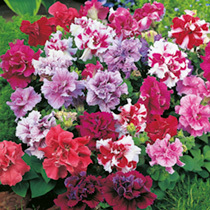 Recommended for bedding in sheltered, sunny places and for pots and window boxes. Regular feeding will make your display last longer.